Israeli forces closed down the Huwara and Zatara checkpoints Tuesday, after hundreds of settlers wreaked havoc in the area, a Ma’an reporter said. Hundreds of settlers marched toward Zaatara checkpoint where a settler was stabbed to death earlier in the afternoon. They repeated racist chants and called for revenge. Meanwhile, settler-monitoring official Ghassan Daghlas told Ma’an that settlers set fire to over seven acres of olive fields in Awarta village east of Nablus. Two Palestinians sustained different wounds after they were attacked by settlers in the town of Beit Furik, east of the city of Nablus, in the northern West Bank, during raids into their houses. Ghassan Daghlas, the official in charge of the West Bank settlements file, confirmed that Israelis from Itamar settlement, established on the lands of Beit Furik and other neighboring villages, attacked Palestinian citizens and hit them with sharp objects. Meanwhile; the Israeli occupation forces (IOF) have tightened their procedures and intensified their military presence in the eastern, western and northern areas of the city of Nablus. 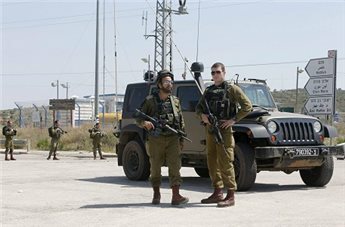 The soldiers erected several checkpoints north of Nablus and in the vicinity of the city of Jenin, and searched the passing vehicles. Israeli troops have also intensified their presence in the northern Jordan Valley, where they attacked several areas and tents of citizens and notified them to leave their lands, under the pretext of carrying out military training for several days in the area. Jewish settlers seized on Monday land belonging to Palestinians near the town of Yatta, in al-Khalil in the southern West Bank, a few days after the Israeli Department of Antiquities started a dig in the area. Rateb Jabour, coordinator of the national committees against the wall and settlements in the town of Yatta, told Quds Press that Israelis from Maon settlement have seized a hill adjacent to the settlement wall, at the entrance to Towana village east of Yatta. The Israeli Department of Antiquities has begun archaeological excavations in this region over a week ago. 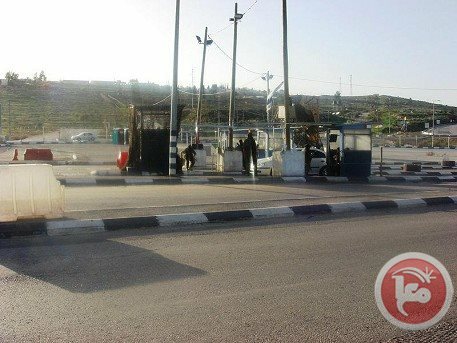 Israeli soldiers set up a checkpoint on Monday evening at the southern entrance to the village of Carmel in Yatta. They stopped the vehicles and checked identities of farmers. Hundreds of Israeli settlers have attacked on Tuesday morning Palestinian citizens and their properties in Nablus and Tulkarem following the killing of a settler at Za’atara checkpoint earlier today. A group of settlers assaulted schoolgirls who were riding 2 buses on a school trip, injuring 50 pupils, near Hawarah checkpoint, south of Nablus, where they were transferred to hospital, eyewitnesses confirmed. The sources added that the settlers detained the buses and tried to set fire to them. Local media sources pointed that masked and armed settlers burned tires at road junctions in Nablus and hurled stones at Palestinian cars, where dozens of vehicles were damaged. Meanwhile, settlers from Givat Gilad settlement set fire to dozens of olive trees in the Nablus village of Firata, and attacked vehicles east of Tulkarem. On the other hand, the occupation forces, stationed in military Watchtowers near Za'atara checkpoint, detained about a thousand people at the checkpoint south of Nablus after they closed the area. Israeli forces raided Dahiyet Shweikeh village in Tulkarem and stormed the house of the wounded Palestinian who stabbed the settler at Za’atara military checkpoint, south of Nablus. Eyewitnesses said that forces from the Israeli army raided the village and surrounded the house of Salam Al-Zaghal who was injured after Israeli soldiers shot him at Za’atara checkpoint. The occupation forces closed Za’atara checkpoint in Nablus, the Israeli radio confirmed, referring to the death of one of the settlers from Yitzhar settlement, while Salam Al-Zaghal was transferred to hospital within the 48-occupied territories. In the same context, Al-Zaghal family confirmed that Salam is still alive at a military hospital and denied his martyrdom until this moment. Sources confirmed that many Palestinians including students were injured due to the settlers' attacks in the area, while the occupation forces assaulted the citizens and prevented them from passing through Hawara and Za’atara checkpoints. In the meantime, Israeli soldiers expelled on Tuesday Palestinian citizens stopping at the station waiting near the "Gush Etzion" settlement built on Palestinian land north of al-khalil under the pretext of protecting the settlers following the killing of a settler near the village of Za’atara, south of Nablus. .
Eyewitnesses said that the Israeli occupation forces reinforced their presence near the junction that led to several outposts and settlements in al-Khalil and Bethlehem. According to Israeli media outlets, the Palestinian has stabbed and killed an Israeli settler from Yitzhar settlement after the settler attempted to assault him. A number of Jewish settlers Tuesday attacked and injured a Palestinian near Bittin village, east of Ramallah, said local and security sources. They told WAFA that Israeli settlers attacked Muhammad Darwish on the main road leading to Ramallah, which led to head injury. He was seriously injured and taken to hospital for treatment. The attack was part of settlers’ rampage in the West Bank following the stabbing death of a settler near Za’atara junction earlier Tuesday. Violent clashes erupted Tuesday between young Palestinians and Israeli troops in Urif, after settlers attacked a mosque in the northern West Bank village. Israeli forces showered Palestinian protesters with tear gas, plastic-coated bullets and stun grenades, witnesses told Ma'an. Ghassan Daghlas, a Palestinian Authority official who monitors settlement activity, said four Palestinians were injured and taken to the Rafedia Hospital in Nablus for treatment. Khalid Safadi and Husam Abdul-Fattah were shot in the head by plastic-coated bullets, and Ahmad Foksh was shot in the foot. 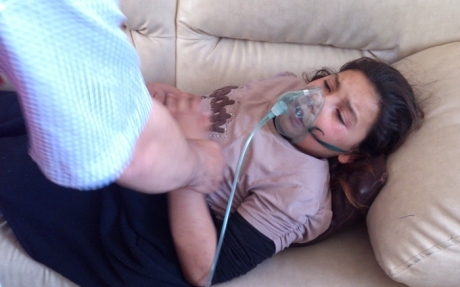 Adel Safadi was hit in the face by a high-velocity tear gas canister, Daghlas said. 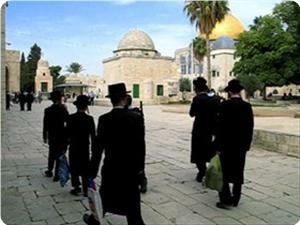 Earlier Tuesday, Israeli settlers attacked the al-Ribat Mosque in Urif and damaged its interior. The PA minister of religious affairs, Mahmoud al-Habbash, condemned the attack and said the Israeli government encouraged settler violence by providing soldiers to protect them. An Israeli military spokeswoman told Ma'an that around 40 Israelis had hurled rocks at Palestinian vehicles in Urif, wounding three Palestinians. Israeli soldiers dispersed the riot, she said. 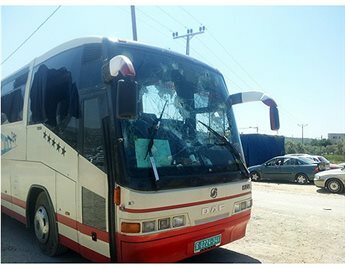 The PA Education Ministry canceled school trips on Wednesday after settlers attacked school buses in the West Bank, injuring five school girls. Masked settlers burned tires at road junctions in Nablus, hurled stones at Palestinian cars, and set fire to dozens of olive trees following the fatal stabbing of a settler earlier in the day. PA official Ghassan Daghlas urged Palestinians to exercise extreme caution while driving near settlements, adding that he expects more attacks to take place during the day. A settler was stabbed to death as he waited at a hitchhiking spot south of Nablus in the occupied West Bank on Tuesday. Israeli border police sped to the area and fired towards the attacker, who grabbed his victim's weapon and returned fire but was eventually disarmed and taken into custody, an Israeli police spokeswoman said. Palestinian Authority officials condemned an attack by settlers on a Nablus-area mosque on Tuesday, as tensions rise in the northern West Bank following the fatal stabbing of a settler. 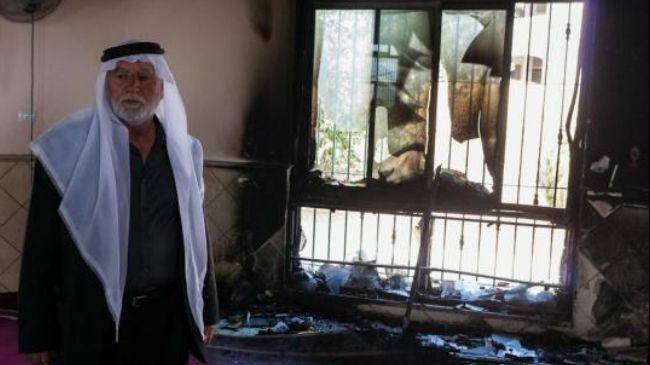 Mahmoud al-Habbash, minister of Waqf and religious affairs, slammed the attack against al-Ribat mosque in Urif village, saying the Israeli government encouraged settler violence by providing soldiers to protect them. Villagers have begun to fix the mosque after the attack, he added, condemning Israeli aggression against Palestinian holy sites. Meanwhile, the PA Ministry of Education issued a statement that all school trips will be suspended on Wednesday after two buses carrying school girls were attacked by settlers, injuring five people. Israeli settlers have vandalized a Palestinian mosque in the northern West Bank amid escalating tensions following the fatal stabbing of a settler in the area. The incident occurred on Tuesday when dozens of settlers attacked Palestinians and their property in city of Nablus and neighboring Tulkarem. Israelis stopped two school buses near the illegal Yizhar settlement, south of Nablus, and hurled stones at the vehicles, said Ghassan Daghlas, a Palestinian Authority official who monitors settlement activity in the northern West Bank. The attack left more than 20 students injured and caused widespread panic, he added. 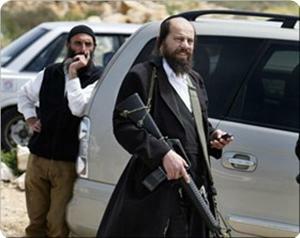 Masked settlers burned tires at road junctions in Nablus and hurled stones at Palestinian cars. Meanwhile, settlers set fire to dozens of olive trees in the Nablus villages of Asira al-Qibliya and Urif, and attacked vehicles east of Tulkarem. Tensions are high in the northern West Bank following a stabbing attack which killed a settler earlier in the day near Zatara checkpoint in Nablus. Dozens of settlers attacked Palestinians and their property in the Nablus and Tulkarem area on Tuesday, as tensions rose following the fatal stabbing of a settler earlier in the day. PA official Ghassan Daghlas told Ma'an that settlers stopped two school buses near Yizhar settlement and showered them with stones, injuring a number of students and causing widespread panic. 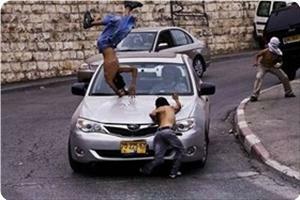 Masked settlers burned tires at road junctions in Nablus and hurled stones at Palestinian cars, Daghlas added. Settlers also set fire to dozens of olive trees in the Nablus villages of Asira al-Qibliya and Urif, and attacked vehicles east of Tulkarem. The PA official urged Palestinians to exercise extreme caution while driving near settlements, adding that he expects more attacks to take place during the day. 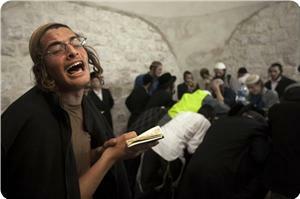 A Palestinian man was stabbed in an ultra-orthodox Jewish neighborhood in Jerusalem on Tuesday, Israeli police said. Israeli police spokesman Mickey Rosenfeld told Ma'an that the unidentified man was stabbed in the Mea Shearim neighborhood, near Jerusalem's Old City. Israeli police are carrying out an investigation into the attack, Rosenfeld said, adding that it was a local incident and unrelated to an earlier stabbing in which an settler was killed near Nablus. A settler was stabbed to death near Nablus on Tuesday, witnesses said. Onlookers told Ma'an that a man asked a taxi to drop him off around 60 meters from Zatara checkpoint south of Nablus, in an area where settlers wait to hitch-hike or for transport. "The Palestinian suspect stabbed an Israeli sitting at a bus stop. He died," Israeli police spokeswoman Luba Samri told AFP, adding that the incident took place near Tapuah junction which lies south of the city of Nablus. victim's weapon and returned fire but was eventually disarmed and taken into custody, she said. 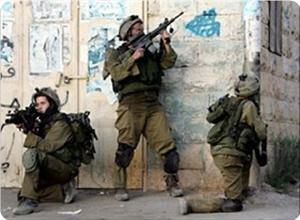 An Israeli army spokeswoman said that the Palestinian man was taken to hospital for treatment. Following the incident, settlers descended on the area and began attacking Palestinian cars, pelting them with stones, an AFP photographer said. Israeli forces announced a state of alert in the area and erected flying checkpoints in south Nablus, with locals saying that traffic is at a standstill near Zatara checkpoint. Israeli settlers on Monday planted trees on private Palestinian land in Nablus in the northern West Bank, a Palestinian Authority official said. Settlers plowed land belonging to Palestinian farmers in Azmut, east of Nablus, and planted young olive, vine and prunus trees, said Ghassan Daghlas, who monitors settlement activity in the northern West Bank. He said the settlers used bulldozers to dig dirt roads, allowing tractors to access the fields. Daghlas told Ma'an the attempt to take over the fields was unprecedented in the northern West Bank district. "This assault is the most dangerous of its kind. Settlers took a step forward. First they used to damage fields, and now they want to occupy them," he said. 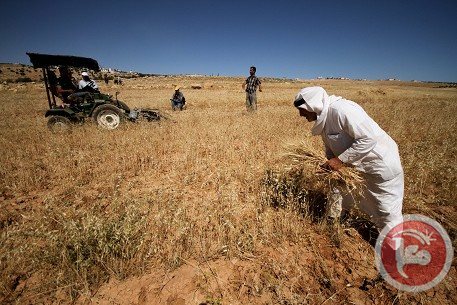 Jewish settlers laid their hands to hundreds of dunums of Palestinian cultivated land lots to the east of Nablus city on Monday. Ghassan Daghlas, monitoring settlement activity north of the West Bank, said that hundreds of settlers from Elon Moreh settlement established on Palestinian villages east of Nablus seized the land. 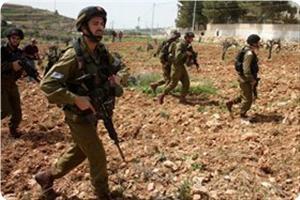 He said that the settlers seized the land in Azmut village, east of Nablus, by force of arms and planted seedlings in it. An Israeli settler deliberately ran over a Palestinian child on Sunday with her car near the Ibrahimi mosque in al-Khalil, in the southern West Bank. Eyewitnesses confirmed that an Israeli settler ran over the Palestinian child Youssef Bassem al-Mohtassab, 5, before fleeing the scene quickly. The settler Anat Cohen, known for her hostility against the Palestinians in the region, had yesterday attacked two Palestinian children and brought Israeli soldiers to pick them up, the sources added. The sources pointed out that the child was transferred to al-Khalil Government Hospital, where his injuries were described as moderate. Israeli settlers set fire on Sunday to Orthodox Church Land in Wadi Hilweh in the town of Silwan during celebrations of the so-called "torch festival." 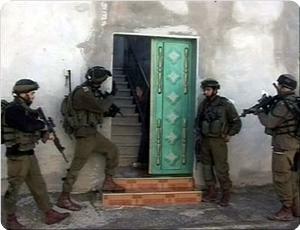 A number of settlers' families settled in the town of Silwan under heavy protection. 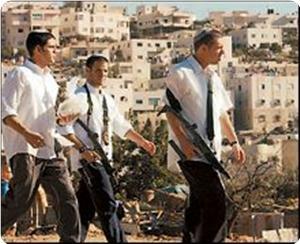 All the settlers who set fire in Silwan were armed. During the Israeli celebrations of the so-called "torch festival", three Jerusalemites of Maghrebi family were injured in the Sheikh Jarrah neighborhood, in addition to the burning of several old trees, a car, and gardens belonging to Khatib and Jaouni families. 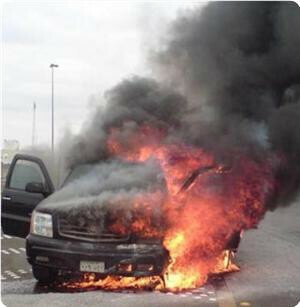 Jewish settlers set fire to nine vehicles belonging to the United Nations while celebrating the Torch Festival. Jewish settlers severely beat up two Palestinian children in Tal Al-Rumaida in Al-Khalil on Monday, Palestinian security sources told Quds Press. They said that the settlers mercilessly beat 12-year-old Ahmed Abu Haikel and his brother Muawiya, 11, adding that Israeli soldiers arrived to the scene but did not arrest any of the settlers. Locals, meanwhile, noticed intensified presence of Israeli occupation forces at the entrance to Fawar refugee camp and Hijra village in Al-Khalil, as other IOF units stormed Daheria village and a number of suburbs in Al-Khalil city. Israeli settlers Saturday at night set fire to nine vehicles that belong to the United Nations while celebrating a Jewish holiday in Jerusalem, said local sources. Maysa Abu Ghazali of Wadi Hilweh Information Center said that sources from the UN stated that around nine vehicles were damaged. The UN didn’t release any statement indicating that the fire was intentional. Mahmoud Mughrabi, owner of a damaged vehicle, said that his cousin’s house was set on fire as well. He said that three Palestinians were injured, including a 65 year-old. They were transferred to hospital to receive medical care. The Israeli police didn’t intervene and is currently awaiting the civil defense’s report. Jewish settlers set fire to several vehicles belonging to the United Nations and gardens of Palestinian homes in Jerusalem, while celebrating the Torch Festival. Wadi Hilweh Information Center said in a statement that in the evening the settlers set fire to nine vehicles belonging to the United Nations in the neighborhood of Jabal Mukaber and to gardens of three houses in the Sheikh Jarrah neighborhood in the city of Jerusalem. The citizen Mahmoud Maghrebi, one of the affected, told the center that the settlers have also set fire to trees planted on an area of ​​600 square meters. Maghrebi said that three members of his family suffered from suffocation and were taken to hospital to receive treatment. He added that the electricity network was also damaged due to the fire. In the heart of the old city of Hebron, an elderly woman insists on staying in her old house despite provocative practices by both settlers and Israeli troops. Um Salah, 82, told Ma’an TV on Thursday she had been living in her house for 70 years, and that she would never leave it except for her grave. The house, in Khan Shahin neighborhood, next to Shuhada Street which Israeli forces closed to traffic in 2000, is almost like a prison. “A few days ago, I fell sick and my daughters begged me to go with them for a week only, but I refused and told them I would never leave my house. I want to die in my house,” said Um Salah. “Since 12 years, this street in Khan Shahin has been isolated from the southern area including Abu Sneina neighborhood, Yatta road, and Bani Naim. The closure of this street has prevented contiguity with half of the Hebron area. “There were about 500 shops in this farmers’ market, and they used to remain open until 10 in the evening. All the shops have been sealed off by a military order,” says Naji al-Batsh, one of the few residents who remained in the area. More than 1,000 families left the old city as a result of harassment and provocations by both Israeli settlers and soldiers, according to local statistics. 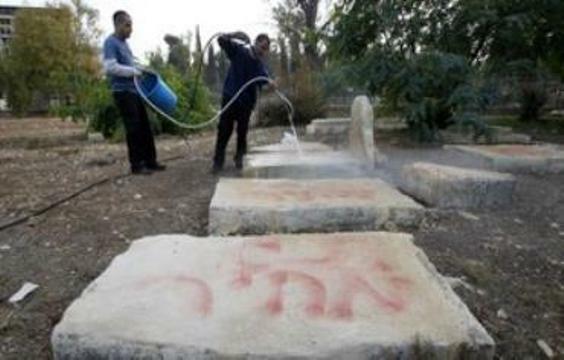 Jewish settlers poured poisonous material in a Palestinian water well south of Al-Khalil on Friday night. Ratib Al-Jabour, the coordinator for the committee against settlement and the wall in southern Al-Khalil, said in a press release on Saturday that the water well is owned by Shehade Makhamre in Mighair Al-Abeed to the south of Al-Khalil city. 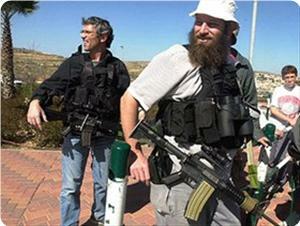 He charged that the “herds of settlers” do such things to force citizens to desert their land and property. The Israeli occupation forces (IOF) on Friday raided different areas of Jenin city, while Jewish settlers uprooted olive trees in a village there. Local sources reported that the IOF stormed Qabatiya town south of Jenin and patrolled the area around the western cemetery. The IOF also invaded Al-Hisba area at dawn and established a checkpoint and raided Silat Al-Harithiya village west of Jenin and clashed with its residents. In an earlier incident, the IOF uprooted on Thursday night dozens of olive threes belonging to Palestinian farmers from Yabud and Araba towns southwest of Jenin. Eyewitnesses said that Israeli bulldozers escorted by troops uprooted the olive trees near the main street that connects Tulkarem with Jenin. A horde of Israeli settlers also uprooted on the morning of the same day forest trees in Mount Abu Ghuneim to the north of Bethlehem city and annexed the area to their settlement. Local sources said that the uprooting of the trees was aimed at creating a road for a new outpost the Jewish settlers intend to establish near Abu Ghuneim settlement. Israeli security forces overnight demolished two structures that Jewish settlers had erected to create a "wildcat" outpost in the occupied West Bank, a police spokesman said on Friday. Soldiers and border policemen razed the makeshift structures of the Oz Zion outpost near Ramallah without incident, Luba Samri told AFP. The security forces have dismantled structures erected at Oz Zion on several occasions in the past -- most recently in March -- but settlers have persisted in putting up new ones. In a violent confrontation in December, more than 200 stone-throwing settlers drove off an attempt by security forces to dismantle structures put up at Oz Zion, wounding five border policemen. They were demolished the following day. Israel deems settlement outposts built without government approval to be illegal and often sends security personnel to demolish them. They usually consist of little more than a few trailers. The international community considers all settlements built in the West Bank -- including occupied East Jerusalem -- to be illegal. Israeli settlers Thursday uprooted dozens of olive trees from land owned by Palestinians in the town Arraba, southwest of Jenin, said local sources. Arraba’s deputy mayor, Ahmad Arda, told WAFA that settlers from nearby Mevo Dotan protected by Israeli soldiers uprooted the trees from land to the west of the town and prevented the landowners from reaching their land. On 24 April 2013, as has been a frequent occurrence of late, settlers from Giv’at Gal came onto the privately owned land of the Zaro family, of Hebron. The landowners called the police to report the trespassing. 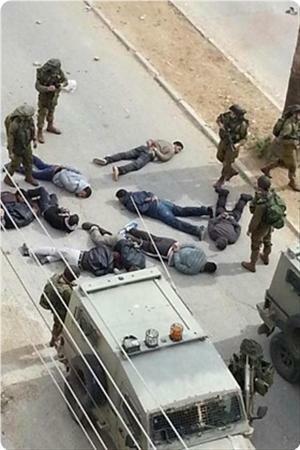 Israeli soldiers came to the scene and, rather than sending the settlers away, arrested the Palestinians. The police then insisted on detaining the Zaros overnight. 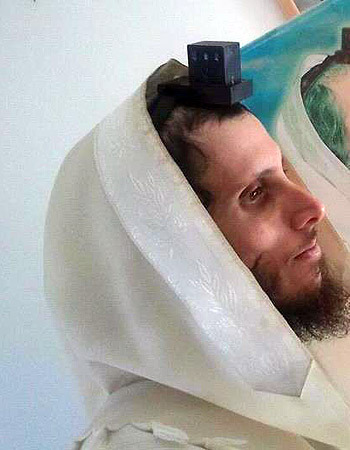 Part of the incident was filmed by one of the men detained, Sh'hab a-Din Zaro, a volunteer in B’Tselem’s camera project. The detainees were released from custody the following day by a military judge after this video footage was presented in court by their legal counsel, Adv. Nery Ramati of the Gaby Lasky law firm, and it was proven that the there was no justification for the arrest, which involved violence towards one of the Zaros. 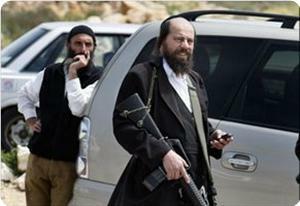 Hundreds of Jewish settlers stormed at dawn on Wednesday Nablus in the northern West Bank under the protection of the occupation army, and performed Talmudic rituals in Youssef's Tomb, east of the city. Israeli buses and cars carrying hundreds of Jewish settlers stormed the Balata town, east of Nablus, accompanied by large numbers of Israeli military vehicles, where they performed their rituals at Youssef's Tomb until the dawn hours using loudspeakers, Quds Press reporter stated. Clashes have erupted when the Israeli soldiers fired tear gas bombs towards Palestinian houses, led to a number of suffocation cases among the Palestinian youths who responded by throwing stones and empty bottles. According to the source, the clashes continued at the entrance to Balata refugee camp where the IOF stormed the camp to arrest the stone-throwers. 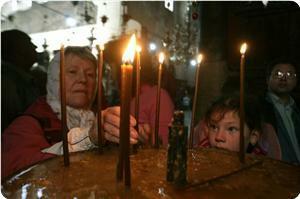 Dozens of settlers visited Joseph's tomb in Nablus early Wednesday, locals said. More than six buses carrying the settlers were seen by the tomb at around 1 a.m., surrounded by Israeli military forces, witnesses told Ma'an. Clashes broke out between Israeli forces and youths, witnesses added. Under the 1993 Oslo Accords, the site was to remain under Israeli control. But the Israeli army evacuated the premises in October 2000 shortly after the start of the second intifada, or uprising, and it was immediately destroyed and burnt by the Palestinians. 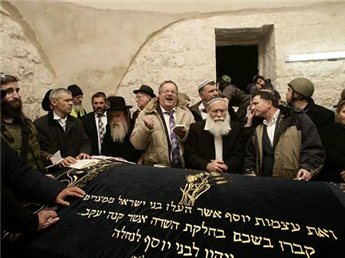 The restoration of the tomb was completed recently, and following improved security cooperation with the Palestinian Authority, the army allows Jewish worshipers to make monthly nocturnal pilgrimages to the site. 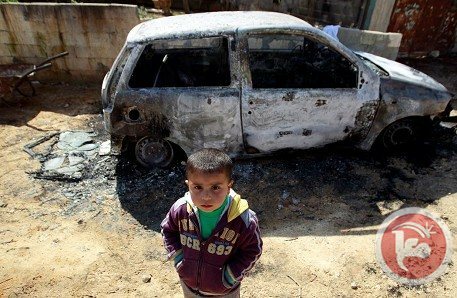 Dozens of settlers raided a Ramallah village overnight Monday and set fire to 10 cars, locals said. Witnesses told Ma'an that settlers from Ofra entered the village of Deir Jarir and attacked property in the village, setting fire to 10 vehicles. In recent weeks, fierce clashes have broken out in the area as Palestinians try to protect private land slated for annexation to Ofra. Earlier in April, a group of Israeli settlers assaulted a resident of Silwad who sustained bruises and was hospitalized. 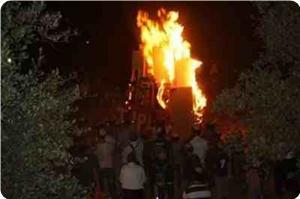 In response, residents set fire to movable settler houses in a nearby outpost. Settler attacks against Palestinians and their property is routine in the occupied West Bank and rarely punished by Israeli authorities, who locals accuse of failing to intervene despite being present at many incidents. 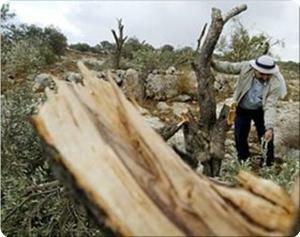 Israeli forces destroyed over 1,300 olive trees in the south Hebron hills on Tuesday. Israeli soldiers accompanied officials from Israel's civil administration as demolition crews uprooted hundreds of olive trees in the village of Susiya, Ma'an's reporter said. According to B'Tselem, there are 26 outstanding Israeli demolition orders in the village. In February 2012, right-wing settler advocacy group Regavim petitioned Israel's supreme court on behalf of an Israeli settlement overshadowing the village, calling for Israeli authorities to implement the demolition orders. 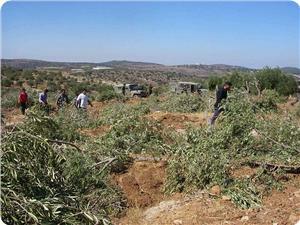 Meanwhile, settlers from Karmi Tzur uprooted 30 olive trees east of Halhul, local Saeed Madiyah told Ma'an. In al-Malih and al-Madareb, in the Jordan Valley, Israeli forces demolished 15 animal shelters belonging to Bedouins in the area. 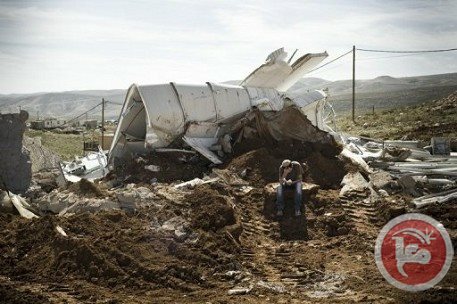 In Hizma, north of Jerusalem, Israeli forces demolished shelters belonging to Nayef al-Ashab. Al-Ashab told Ma'an he used the shelters to store produce for his shop and that he was not warned they would be demolished. The goods were all destroyed in the demolition, he said. 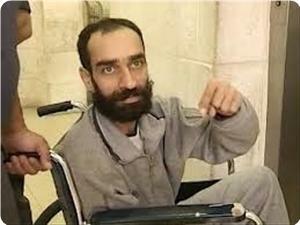 Jewish settlers attacked on Monday morning the family of detained hunger striker Samer Issawi in front of the hospital. Shireen, Samer’s sister, said on her Facebook page that the settlers’ premeditated attack came after the Israeli police refused to allow them to enter the hospital to attend his case hearing. She said that their mother, relatives, and solidarity activists went to the hospital in a bus to attend the hearing but were denied access and staged a rally outside it. Shireen had asked all national forces in Jerusalem and 1948 land to take part in the rally to back her brother who has been on hunger strike for more than six months demanding his release. Arab Knesset member Taleb Abu Arar warned that right-wing Knesset members intend to legalize the entry of Jews to the Aqsa Mosque to perform their rituals. Head of the Knesset interior and environment committee Miri Regev declared recently her intention to organize a tour for all members of its committee to visit the Aqsa Mosque, confirming her support of the entry of Jews to the Mosque. "Any non-Muslim person has no right to pray at the holy Aqsa Mosque, and if the said tour was organized and new arrangements for prayers were created, such situation cannot pass unnoticed, and will ignite the whole region and bring dire consequences," Abu Arar said on Saturday. Abu Arar called on his fellow Knesset members not to follow the calls made by Regev about the Aqsa Mosque, noting that the leaders of the Arab community in the Israeli occupied lands plan to take preventive steps to thwart the Zionist schemes against the Mosque. The Israeli Occupation Forces (IOF) raided several towns in Bethlehem and al-Khalil southern occupied West Bank, while summoning a Palestinian citizen for investigation. The sources confirmed that Israeli forces raided the towns of Nuba, Dahria and several suburbs in the city of al-Khalil, while dozens of settlers stormed Qalks town under the protection of Israeli soldiers for several hours. The Israeli army stormed the towns of Dar Salah, Kheder, Dheisheh, Aida refugee camp, and several suburbs of the city of Bethlehem, while the occupation summoned the citizen Ramzi Mesaieed, from Aida refugee camp, to Etzion detention center near Bethlehem for interrogation. The Council for European-Palestinian Relations (CEPR) hailed on Saturday the European Union’s "advanced" attitudes regarding the Palestinian issue. It said that the latest such attitude was the EU foreign ministers' support of the decision to label the products imported from the Israeli settlements on Palestinian land in the occupied West Bank to be distinguished by traders and consumers in the European markets. The Council said in a statement that "this positive decision, which serves justice ... represents the first real step to reject Israel's settlement practices." It also demanded preventing extremist settlers from entering the EU countries, as well as freezing the EU-Israel Association Agreement, due to Israel's lack of commitment to its terms concerning respect for the international law and human rights. 13 member states, including Britain, France, Spain and the Netherlands, have decided to label the products made in the West Bank settlements, so these products will no longer benefit from lower tariffs offered by the EU and will be easily distinguished by traders and consumers in the European markets. The Council also welcomed the letter sent by senior European officials to the EU High Representative for Foreign Affairs Catherine Ashton demanding her to "make a radical change in dealing with the Israeli-Palestinian conflict, and to support the rights of the Palestinians people." Israeli occupation forces (IOF) served a summons to a young man in Husan village, Bethlehem province, on Saturday after storming and searching his family home. Local sources said that IOF soldiers broke into the home of 19-year-old Daoud Al-Shaer’s family home and ordered him to appear at Gush Etzion settlement, south of Bethlehem, for intelligence questioning. Meanwhile, IOF soldiers closed a main road leading to villages western Al-Khalil on Saturday morning at the pretext of protecting settlers. Eyewitnesses told the PIC that IOF soldiers closed the iron gate separating Doura village from a number of villages to the west of Al-Khalil, adding that the practice is pursued every Saturday and on Jewish holidays. In another incident in Al-Khalil, Jewish settlers attacked citizens in Beit Ummar village, north of Al-Khalil, and threw stones at them. Local sources said that groups of settlers from Bat Ayin settlement assaulted citizens and prevented them from approaching their cultivated land lots. Jewish settlers launched a series of attacks over the past few weeks on Beit Ummar and nearby villages chopping down olive trees and damaging almond and grape trees and forcing farmers out of their lands under the protection of IOF soldiers. Islamic Endowment, Higher Islamic Authority and the Council of Endowments condemned the Likud MP Miri Regev's announcement of her intention to storm Al-Aqsa Mosque to examine possibility of permitting Jews to pray in the place. Sheikh Sabri, head of the Higher Islamic Authority, told PIC's correspondent that these statements are totally unacceptable; stressing that Al-Aqsa Mosque belongs to Muslims. He added that the MKs' repeated attempts to storm Al-Aqsa Mosque reveal the size of dangers facing it, and called on the Arab and Islamic worlds to act and join forces to protect it. For its part, the Islamic Endowments in Jerusalem condemned the remarks made by Miri Regev stressing that Al-Aqsa Mosque has been under its administration since the occupation of Jerusalem in 1967. 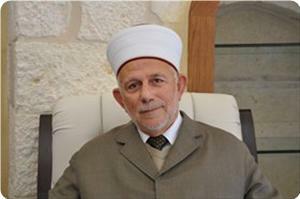 Sheikh Azzam Khatib, Director General of the Islamic Endowments, denounced these statements and warned the occupation of provoking the feelings of Muslims. The Jordanian Ministry of Endowments and Islamic Affairs has also warned of the consequences of the Likud MP's remarks, stressing that Al-Aqsa Mosque is a pure Islamic endowment. The Minister of Endowments Dr. Mohammed Nouh al-Koudat said in a press statement, "These remarks have provoked resentment of Muslims all over the world, which might ignite a religious war in the region." Four Palestinians, including an old lady in her seventies, were wounded in confrontations with Israeli occupation forces (IOF) near Ramallah afternoon Friday. Eyewitnesses told the PIC in a telephone contact that IOF soldiers arrested ten demonstrators, who sought refuge in a building after it was stormed by the soldiers, in Silwad village to the east of Ramallah. They said that the soldiers beat up the citizens after handcuffing and throwing them on the ground. 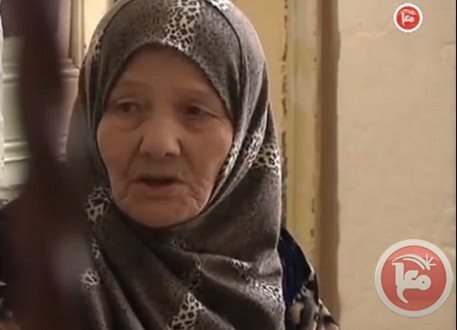 The sources said that a 70-year-old Palestinian woman was wounded with a rubber bullet in her chest after the soldiers took control of her home and forced her out of it. Meanwhile to the east of Silwad, inhabitants of Deir Jarir village offered the Friday prayers on a land threatened with confiscation. 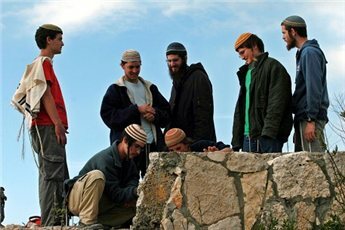 Jewish settlers from Ofra settlement, who want to annex the land to their settlement, tried to attack the worshipers but were confronted by villagers who threw stones on them and chased them away. However, IOF soldiers intervened and fired live and rubber bullets in addition to teargas canisters to disperse the villagers. In a separate incident, two Palestinian young men were injured in confrontations with IOF soldiers in front of the Jalazoun refugee camp north of Ramallah city. Eyewitnesses told the PIC reporter that the two young men were hit with teargas canisters and were taken to Ramallah government hospital. They said that the soldiers arrested two other young men in the confrontations, adding that the soldiers closed Beit El road, near the Jalazoun camp, that links Ramallah to Nablus. 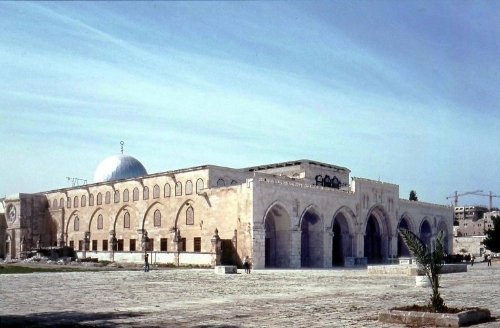 The chairman of the Islamic Awkaf Council in occupied Jerusalem, Sheikh Abduladheem Salhab, has revealed that Jewish fanatics had built 70 religious schools, synagogues, and museums in the vicinity of the Aqsa mosque. 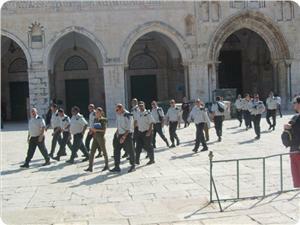 He called for amalgamating efforts to foil the “Zionist schemes” that aim to intrude on on the holy Aqsa mosque. Salhab, in an interview with the PIC, called for intensifying presence of worshipers inside the holy site in order to protect it. The council chairman charged that the new “rightist government” of Benjamin Netanyahu was targeting the Aqsa mosque and trying to impose a new de facto situation on it. Salhab emphasized that Muslims all around the world refuse any attempt to divide the Aqsa mosque (between Muslims and Jews). Hamas movement has warned the Israeli authorities of the consequences of protecting the Jewish extremists in their violations and crimes against the Islamic and Christian holy sites in the Palestinian occupied territories. This came after Israeli settlers took over a monastery and its adjacent chapel in al-Taybeh, a Christian village in the central West Bank. An official source in Hamas condemned this act and said: "We in Hamas strongly condemn this crime which comes as part of a series of systematic crimes targeting the Islamic and Christian presence on the land of Palestine, and which reveals the reality of this terrorist and racist usurper entity." The movement held the occupation fully responsible for this crime because of its protection and complicity with the extremists, and warned of the consequences of protecting them during their violations against the Islamic and Christian holy sites. The movement called on the Palestinian people, Muslims and Christians, and all the factions to join forces to confront the criminal Israeli schemes and projects that target the Palestinian land and sanctities. Likud MK Miri Regev, appointed Wednesday to chair the Knesset Interior and Environmental Affairs Committees, announced she will enter al-Aqsa Mosque with Interior Committee members to examine possibility of allowing Jewish prayer at the site. “This is a perverse attempt and a cynical use of religion for political purposes” said Roisin. The Meretz MK called on the government to immediately stop such initiatives and warned that it was just such an initiative by former prime minister Ariel Sharon in 2000 that ignited the second intifada. 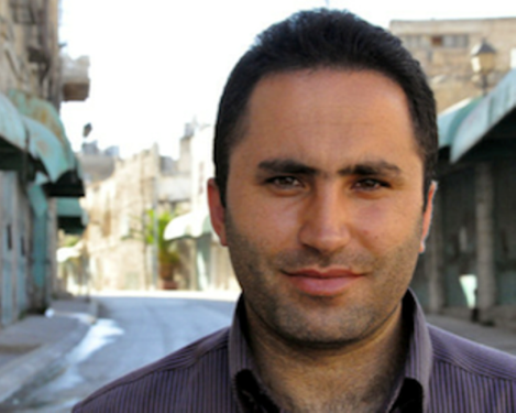 Concern for the safety of non-violent Palestinian activist and organizer Issa Amro peeked following death threats made by Israeli settlers in Hebron, said an International Solidarity Movement press release on Thursday. It said that a recent letter to Israeli security forces from Israeli settlers of Hebron, accused Amro of terrorism and incitement, and warned that the Israeli authorities failure to remove him “could be costly”, and threatened “bloodshed”. In the letter, the mayor of the Jewish “Hebron Municipal Council” and the director general of the “Hebron Jewish Community” insist that army commanders use administrative detention until they are able to find a long-term solution to completely end this hostile and dangerous activity, referring to Amro’s extensive work with various human rights groups. Amro has been violently attacked by this same community of Israeli settlers many times in the past - his nose and wrist have been broken and he received five stitches to his head. He and his family regularly receive death threats from the settlers of Hebron over the phone as part of their ongoing campaign of threats and violence against him. Despite having received numerous death threats and abuse from settlers over a period of many years, Amro is particularly concerned about the letter of the 20th March, because of the status and influence of its authors. Various Israeli websites have since issued calls for his execution, publishing various pictures of his face marked by red circles. Despite Amro’s long dedication to non-violent principles he is constantly identified as a terrorist by these websites. He says that he is regularly abducted by soldiers from his home, blindfolded and driven around for several hours before being left back at his house. On other occasions, he has been beaten by soldiers who have threatened to kill him and his family. During his most recent arrest in March 2013, Amro was stripped naked and made to stand outside for three hours. 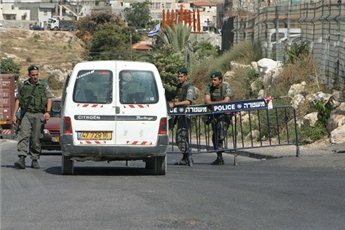 On the 27th of March 2013 there was an arson attempt against the Youth against Settlements community centre in Tel Rumeida – Amro was verbally abused and humiliated by police officers when he attempted to file a complaint and was ejected from their office twice before the complaint was filed. There has yet to be any investigation by the police. A gang of Jewish settlers on Wednesday evening uprooted and sabotaged dozens of olive and fig trees belonging to Palestinian citizens in northwest of Ramallah city. The popular movement Intifada stated that settlers from Hallamish settlement uprooted and damaged about 150 olive trees and 40 fig trees belonging to Palestinian farmers from Deir Nizam village northwest of Ramallah. Intifada added that the settlers went on the rampage through the cultivated lands, especially the land of Sa'ied Al-Khatib. It said that this coward attack angered Deir Nizam villagers and the owners of nearby lands and made them more alert to any suspicious moves by the settlers. Intifada urged the Palestinian people in the West Bank and its villages to defend their lands and revolt against the criminal occupation and its settlers.